Skylanders Academy – Season 2 (2017) – What's New on Netflix Canada Today! Travel the vast Skylander universe in this animated series as a ragtag group of academy graduates build trust and heart in their fight against evil. 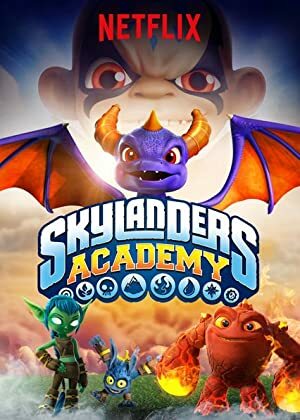 “Skylanders Academy” follows the heroic adventures of Spyro, Eruptor, Stealth Elf, Jet-Vac and Pop Fizz as they travel the vast Skylands universe, protecting it from evil-doers.